After a year (2014) with the word RELEASE, I’m ready to be filled with more of God’s grace and presence. A feeling of urgency persists. Is it because I hit a milestone birthday a few months ago? Is it because I look at my elderly parents and see myself in twenty-five or thirty years. I must be about the work God has given me while I have my health and my memory. This weekend I attended a writer’s retreat with my friends from Rhode Island Romance Writers. 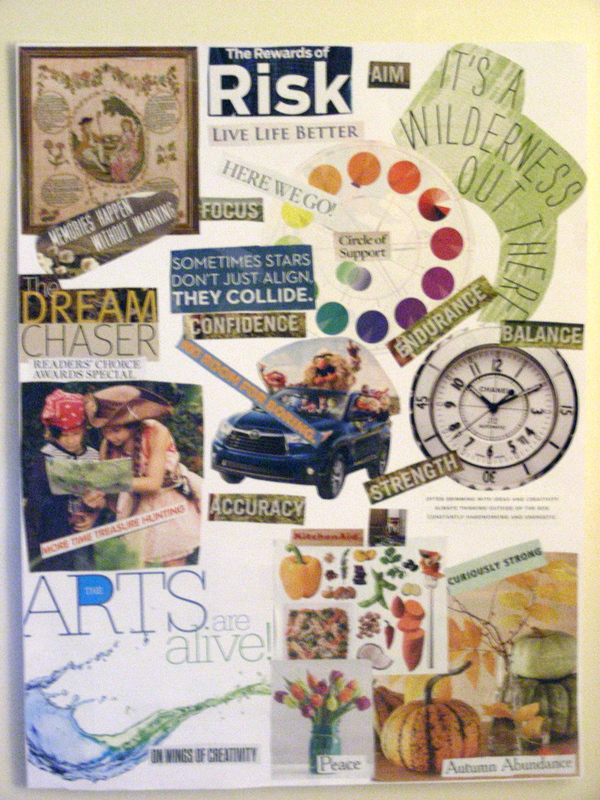 We created vision boards. Going into the workshop, I was sure my board would include some of my ‘wants’ such as a second bathroom for our home. But that isn’t what happened as I thumbed through magazines and cut out pictures and words. Phrases that fit well with my one word. More time treasure hunting. Searching God’s word. Seeking His will. Isn’t that the greatest treasure of all? The picture – An automobile filled with Muppets! My quest will not be boring. What is your word for this year? What are your expectations? Posted in Anita K Greene, Author, Creativity, Faith, Inspirational, Quote and tagged 2015, Faith, God, My One Word, Quest. Bookmark the permalink.